The correct answer is . 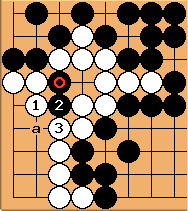 If is played at , then white responds at a. The move at is very careless. 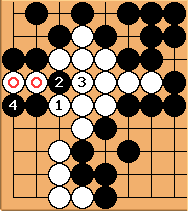 After and , the two marked white stones are captured in a connect and die. 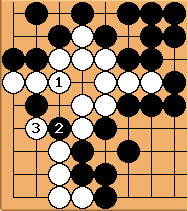 This is exactly the same as the wrong answer diagram above except with the order of moves changed. is the correct answer, ensuring that all white stones are safe.